Useful app to remind you when the MOT is due on your vehicles. Simply enter the details of your vehicles and the expiry dates of the MOT, tax and insurance. You will then be reminded 28 days and 5 days before each expiry unless you have renewed the dates. • Free Download from the App StoreSM (UK only). 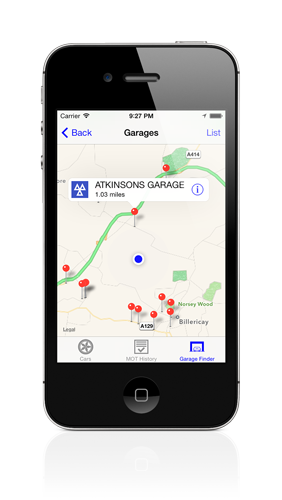 Added feature to find nearby MOT garages. 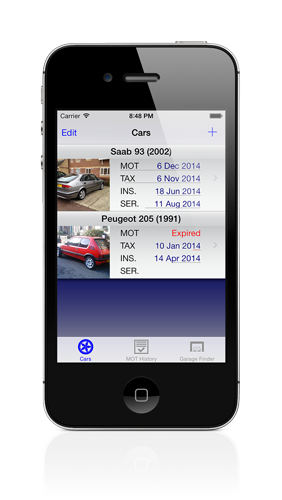 Added feature to check MOT history of vehicles.